MEXICO CITY—The bodies of six men were found hanging from three different bridges near the Mexican tourist resort of Los Cabos on the Baja California peninsula on Wednesday, local authorities said. 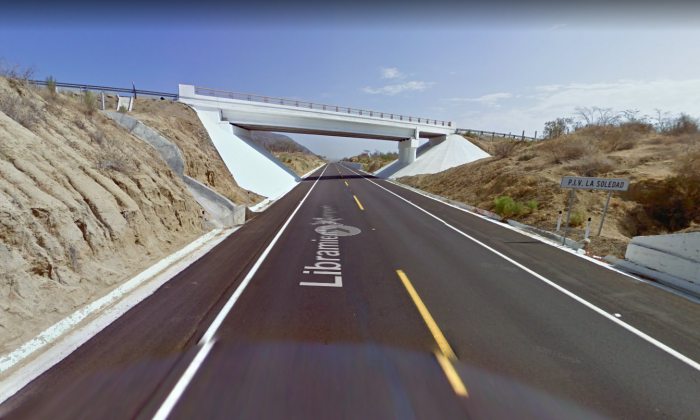 Two bodies were found on a bridge in Las Veredas, near Los Cabos International Airport, and two on a different bridge on the highway between Cabo San Lucas and San Jose del Cabo, local prosecutors said in a statement. Violent crime has spiked in Baja California, particularly around the once peaceful resort of Los Cabos visited by million of foreign tourists every year. Los Cabos police chief Juan Manuel Mayorga was shot dead last week. Homicides have more than doubled in Baja California Sur this year, with 409 people killed through October, from 192 in all of 2016. In June authorities said they had found a mass grave with the bodies of 11 men and three women near Los Cabos. More than 4.4 million passengers, mostly international, have passed through Los Cabos Airport so far this year, according to operator Grupo Aeroportuario del Pacifico.